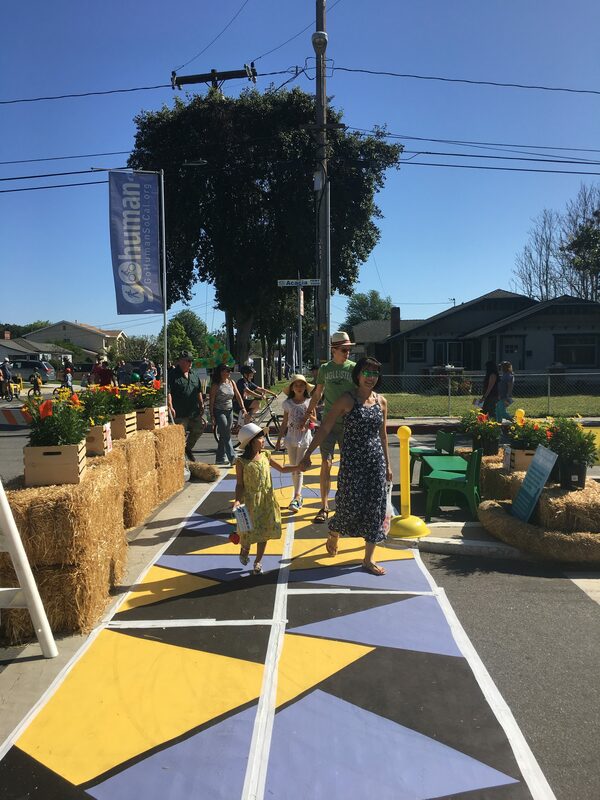 Street Plans, together with Alta Planning + Design, designed and implemented seven Tactical Urbanism projects as part of the Southern California Association of Governments’ (SCAG) Go Human region-wide safety and encouragement campaign. 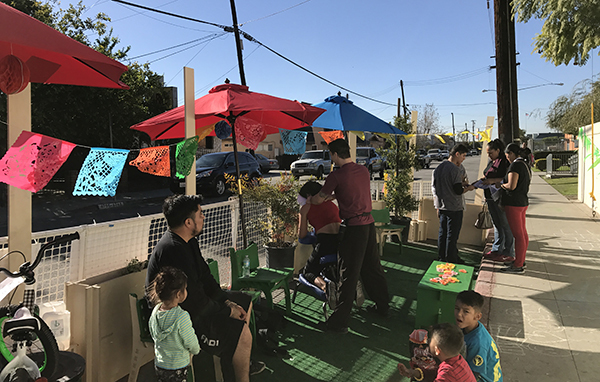 The primary goal of the Tactical Urbanism component of the campaign was to promote region-wide walking and biking, and allow residents to temporarily experience roadways that are designed for people – not just cars. The projects were implemented in 11 cities across the SCAG region during 2016-2017. Project types ranged from open streets events to demonstration projects (such as pop-up bike lanes and temporary traffic circles or curb extensions), depending on each city’s goals. The first of the eleven projects was completed on October 2016 in Long Beach, CA. Dubbed “Activate Uptown,” the project featured an open streets event as well as a temporary bicycle boulevard. Street Plans led design and materials procurement for the bicycle boulevard, which included art crosswalks, a traffic circle, and other features. These temporary treatments allowed event attendees to experience an enhanced walking and biking boulevard, catalyzing momentum towards permanent change in the future. The second event occurred December 2016 in Cudahy, CA. This event featured a demonstration traffic circle, temporary bikeway markings, as well as a number of pedestrian safety improvements (such as curb extensions) near a local school. 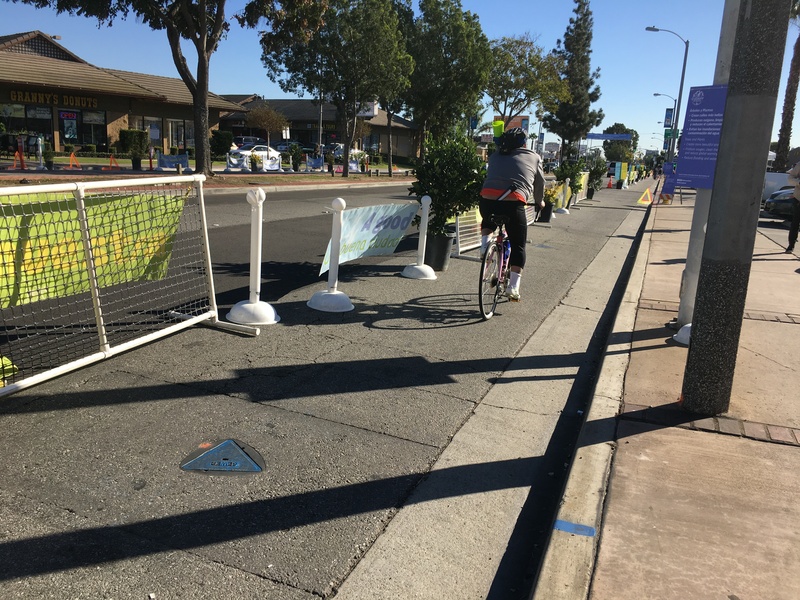 The third event in Garden Grove, CA featured demonstrations of protected bike lanes, art crosswalks, and a neighborhood greenway. 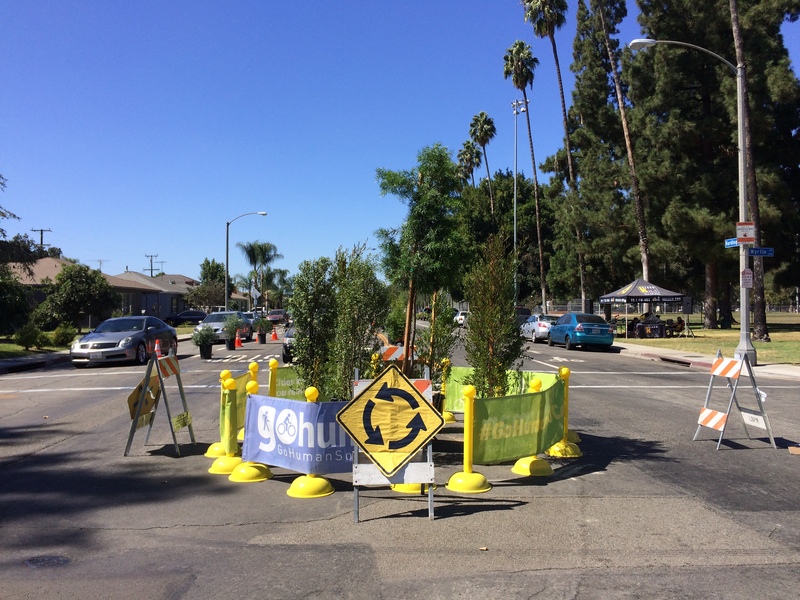 On Saturday, December 3rd, 2016 Street Plans implemented the second of seven demonstration projects in Cudahy, California, which featured a temporary protected bike lane, a pop-up traffic circle, and sidewalk extensions. This project also celebrated the kick-off to the LA River Upper Segment Revitalization Plan. The street safety projects not only slowed down traffic, but also created easier access to the LA River Bike Path. 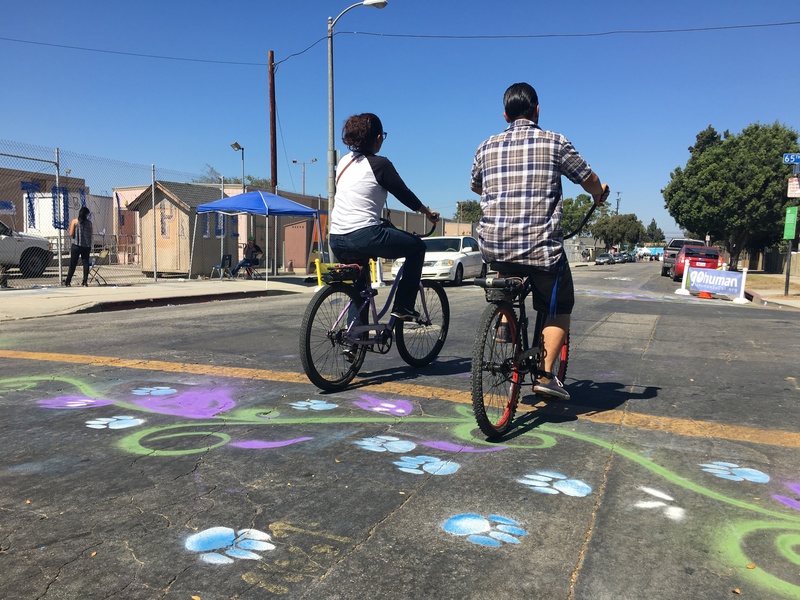 Throughout the spring and summer of 2017, Street Plans helped deliver similar Tactical Urbanism projects in additional locations including the cities of Rialto, Rancho Cucamonga, and Riverside. The project series ended in June of 2017 with an Orange County project, in partnership with OC Parks and the cities of Anaheim and Yorba Linda.